The All Progressives Congress (APC), candidate for the Ezza North West State Constituency, in Ebonyi State, Innocent Nomeh has withdrawn from the supplementary election contest slated for March 23, 2019. Nomeh, while making the disclosure to newsmen in Abakaliki, noted that his decision was informed after considering the salient issues confronting APC members and candidates after its loss in the presidential and gubernatorial polls in the state. 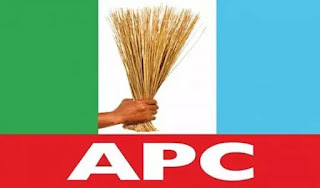 Mr. Eze Nwachukwu, the APC state Chairman however, told NAN that the party did not recognise Nomeh as its candidate for the election. “We only recognise Mr. Emeka Nnoko as our candidate as Nomeh is on his own.